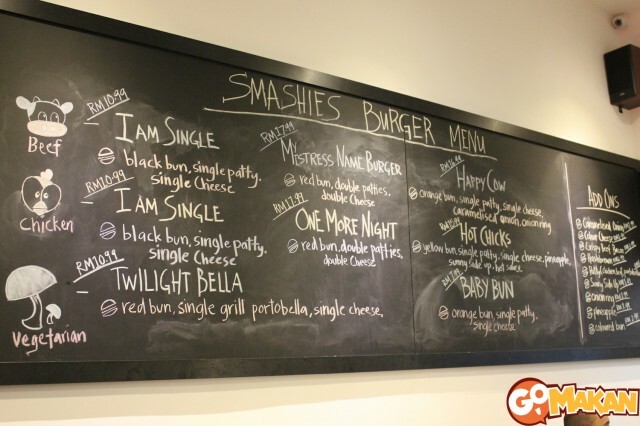 A recent addition to the recent ever-growing list of burger diners, Smashies Burger opened its doors in April 2013 after a series of taste tests and experiments throughout March 2013. 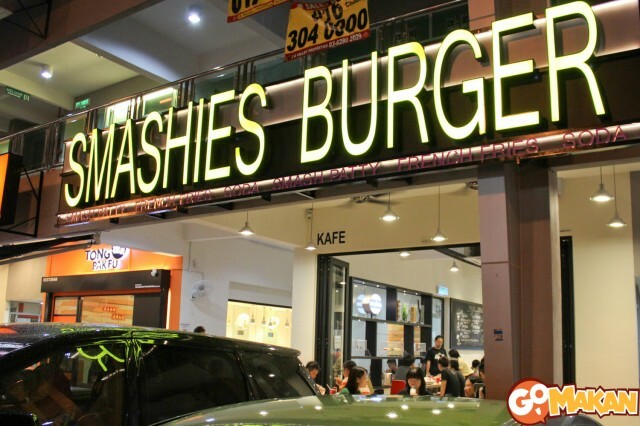 Named because of their method of smashing their beef patties to lock in more flavour, Smashies Burger may resemble the established Crayon Burger and myBurgerLab thanks to their colourful buns and overall burger concept but do not be too quick to judge; Smashies Burger is still a fledgling with plenty of potential. 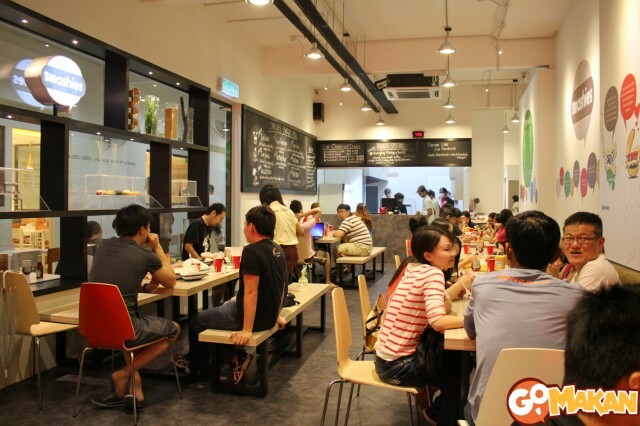 The diner is located in Setapak, an old part of Kuala Lumpur recently undergoing a massive wave of new shoplots and development, making this an ideal place for Smashies Burger to start their venture! 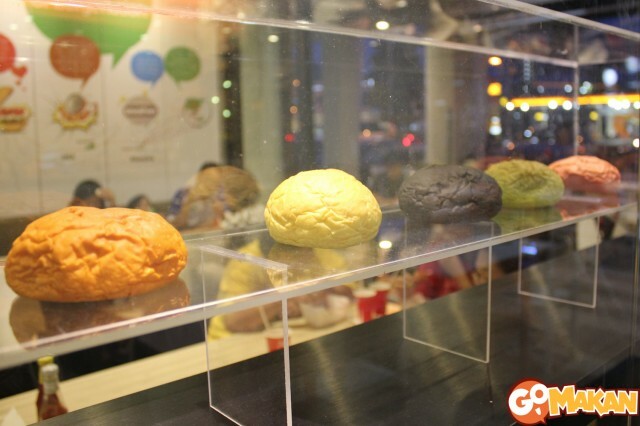 Their buns are available in red (yeast), black (charcoal), green (pandan), yellow (lentils), and orange (orange!). The orange bun has the strongest flavour amongst the coloured buns used here. 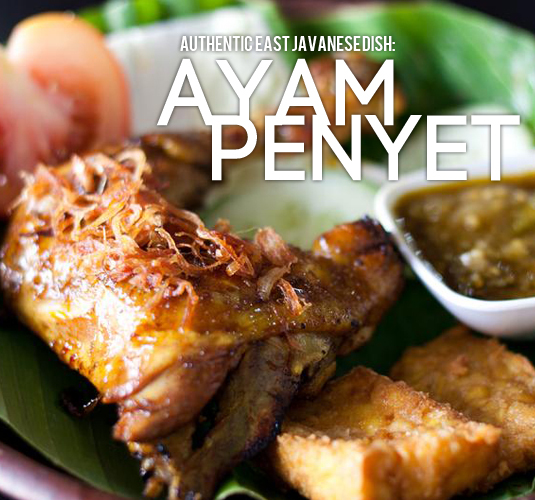 Works well with tangy sauces and maybe a pineapple slice add-on! Check out the writing-on-the-wall for their menu. Besides the ingredients listed on the menu each burger comes with lettuce, a tomato slice and and a dash of Smashies’ sauce blend. 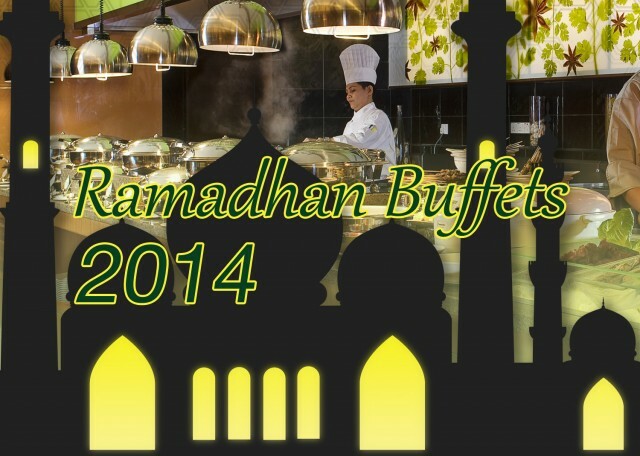 Customers can add-on fries and a bottomless fountain drink to their burger for RM6.99. 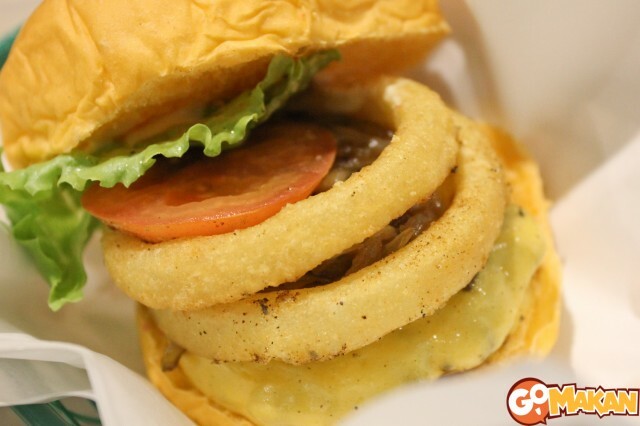 Happy Cow – orange bun, beef patty with cheese, onion rings, caramelized onions (RM16.99). Good burgers are usually sloppy, expect to get your fingers dirty! 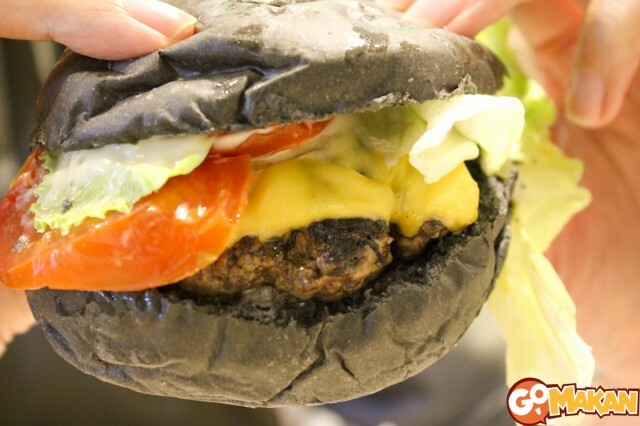 I Am Single Burger – charcoal bun, beef patty with cheese (RM10.99). 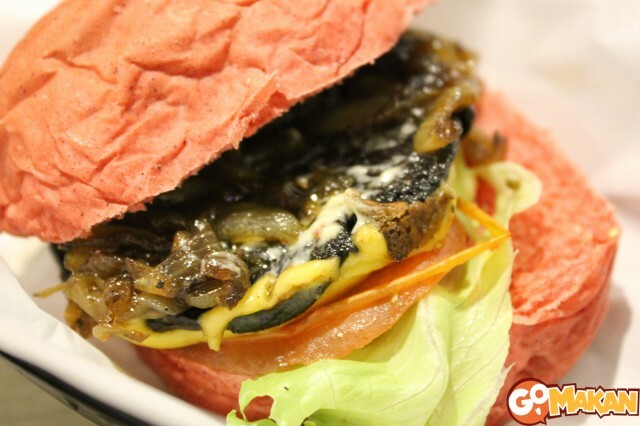 If you’re in the neighbourhood with a hankering for some juicy patties drop by Smashies Burger, have a meal, and perhaps make new friends with other burger fans at this casual diner.